Tamil Nadu Solar Energy Policy 2019 came into effect on February 4, 2019, and will remain in force until replaced by another policy. The policy aims to establish an ecosystem that translates the state’s solar energy vision into enabling policy systems and processes and create a single window system for technical support, funding support, and project clearance. Utility-scale solar energy gross feed-in will be allowed at all voltage levels. For this, wheeling and other charges will be applicable. No wheeling will be allowed at a low tension voltage level. 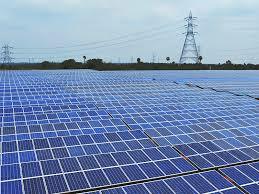 According to source India’s Solar Project Tracker, Tamil Nadu has an installed capacity of approximately 2 GW solar PV. The state has 1.6 GW of solar PV projects under development.